Please join us in welcoming back MOMS ON CALL!!! We have asked that they speak on both infant & toddlers this time. They are wonderful and energetic speakers and full of great information on kids of all ages. The first hour from 7-8 pm will be on infants and discuss how to get them on a schedule. The second hour 8-9pm will be on toddlers & older kids. Everything that parents of toddlers want to know: including how to get toddlers to sleep all night – IN THEIR ROOM and how to be less frustrated and feel more effective. Moms on Call LLC is made of two pediatric nurse-mom's with over 20 years of pediatric experience, not to mention our eight children, including 2 sets of twin boys! We have been there and we know what mom's worry about, which is why it is important to us to provide advice that is easy-to-follow, positive and realistic! 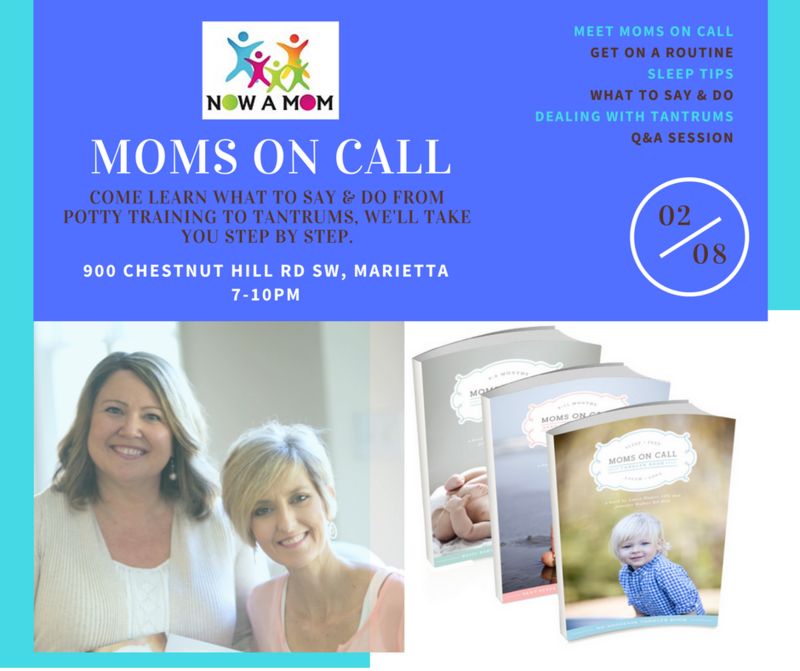 Moms on Call LLC is an Atlanta-based phenomenon. We started serving local families with in-home parenting consultations from birth to 4 years of age. And now, by combining technology, common sense and a passion for families, we have supported and partnered with parents all over the globe.